50% SHARED OWNERSHIP..........Homes on Web are delighted to announce to the market this two bedroom end of terrace property situated in the sought after area of Walnut Tree. With it`s close proximity to local amenities, sought after schools and not forgetting the Kingston District Centre a short distance away which is home to a variety of popular shops and restaurants, this property really does tick all of the boxes you would want. 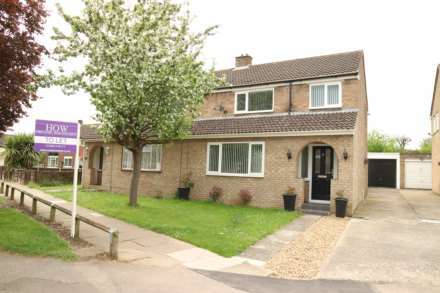 Benefits of this property include; Entrance porch, lounge and kitchen. On the first floor you will find two bedrooms and a family bathroom. Outside there is a good sized rear garden perfect for entertaining and allocated parking to the side of the property. Internal viewing is highly recommended to fully appreciate the accommodation on offer. The lease length is approximately 75 years & the rent to the housing association is £143.03 PCM. Double glazed front door. Double glazed window. Double glazed window to front. TV and telephone points. Electric heater. Stairs rising to first floor accommodation. Fitted in a range of wall and base units with complimentary work surfaces. One bowl sink and drainer with mixer taps. Electric hob and electric oven with cookerhood over. Tiled to splashback areas. Space for fridge freezer. Plumbing for washing machine. Electric heater. Double glazed window and door to rear. Double glazed window to side. Doors leading to all first floor accommodation. Double glazed window to rear. Built in cupboard. Electric heater. Access to loft area. Airing cupboard. Fitted in a three piece suite comprising of; Low level WC, wash hand basin and panelled bath with shower over. Towel rail. Tiled to splashback areas. Double glazed frosted window to rear.